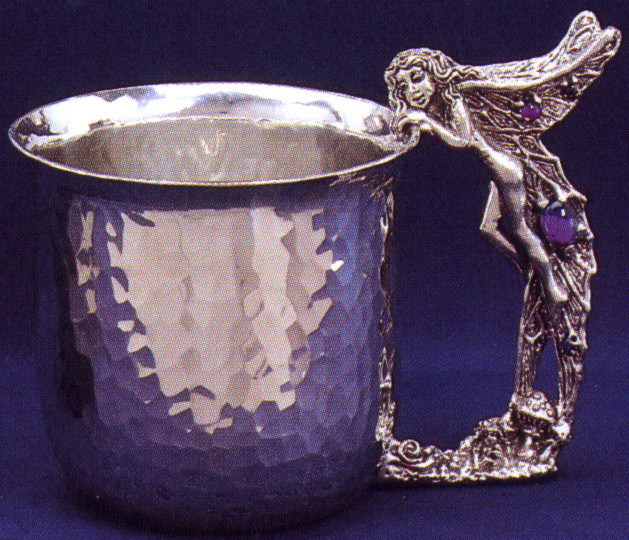 Our curious fairy peeks over the rim of the Pewter Cup. Austrian crystals shine on both side of our fairy's wings and a tiny elf sits among the toadstools down below her feet. The Pewter Cup is 3 3/4 inches across at the rim and holds 14 ounces. We make it by hand from lead-free pewter so it's suitable for all liquids. Keeps your ale cold (and your coffee maybe too hot)!